The 2018 season is over for the Baltimore Ravens, and it is time to begin the yearly roster evaluation. This year, we will go through all 10 positional groups and evaluate the state of the group, and make recommendations on what the Ravens need to change this offseason. In today’s article, we will take a look at the tight end corps. Here are the four tight ends that were on the 2018 roster. What Roster Moves Should the Ravens Make? 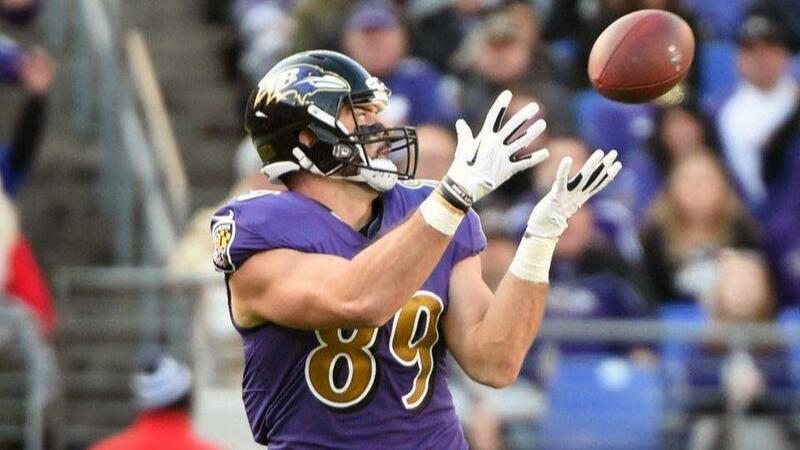 The Baltimore Ravens do not have many options regarding the two tight ends slated to be on the 2019 roster. Mark Andrews and Hayden Hurst will both return to the Baltimore Ravens as second-year players. To cut either player would be a head-scratcher decision, especially considering the financial penalty that the move would incur. Baltimore would not only waste potential on two young players but gain just $206,170 in cap space by cutting Andrews, and lose $4,536,376 by cutting Hurst. Baltimore’s main decision at the position this offseason will come about the two free agent tight ends. Baltimore can re-sign Nick Boyle and/or Maxx Williams to a low salary contract, or opt to move on from both. Baltimore could offer either player a 3 year, $6 million contracts and likely find a deal. The Ravens could also convince Maxx Williams to convert to full back in 2019, and possibly pay him as a fullback. What Free Agents Should the Ravens Target? The Baltimore Ravens will need at least three tight ends on the roster in 2019. If the Ravens decide to part ways with either of the two free agents, Baltimore will not find many affordable and efficient tight ends in this year’s market. Baltimore’s best option would be 29-year-old Luke Wilson of the Detriot Lions, but his lack of production in 2018 is very concerning. Baltimore could pursue a 32-year-old, Jared Cook and pay upwards of $7 million per year for him. But by doing this, the Ravens would inevitably cut down on Andrews’ and Hurst’s time on the field. The best move the Ravens can make is to re-sign Nick Boyle and/or Maxx Williams. Both could fit on the roster in 2019 if the Ravens want to use Williams as a full back, as he played fullback for much of 2018. That would allow for the Ravens to keep a big-bodied blocking tight end in Boyle, and a versatile fullback/tight end combo player, on the roster. Do the Ravens Need to Draft a Tight End? Do not expect the Baltimore Ravens to draft a tight end this April. Baltimore drafted two tight ends in 2018, so the chances that the Ravens will dip into the tight end pool for the third time in two years is a bit of a stretch. The Ravens need at least three tight ends on the roster and can re-sign Boyle or Williams to be the third. To spend a draft pick at a position that can be filled by re-signing a player on an inexpensive deal would be a mistake.